Quaint two family home in beautiful Frankfort. Sunny Shores on Big Platte Lake! 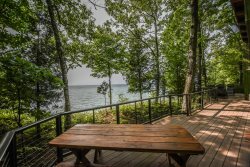 Unique Cottage on 50 ft of Bear Lake's East Shore!